Choosing your next vehicle in Paramus might seem like an overwhelming task when there are so many options. 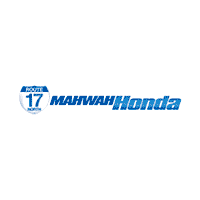 If you decide on the ever-popular, reliable, and fuel-efficient Honda Civic at Mahwah Honda, you then get to choose whether you want the sporty Honda Civic Coupe, the classic Honda Civic Sedan, or the roomy Honda Civic Hatchback. Follow our guide below that compares each Honda Civic body style in terms of price, performance, and space, to figure out which one will fit your needs and preferences. Power and fuel efficiency will differ a little between the Honda Civic Sedan, Honda Civic Hatchback, and Honda Civic Coupe, not only due to the engines themselves, but also due to the varying weight and aerodynamics of each vehicle. Take a look at the Honda Civic mpg ratings and specs below to find out which style brings you the performance you want for Paramus roads. Civic Sedan: Up to 15.1 cubic feet of cargo space and 97.8 cubic feet of passenger volume. Civic Hatchback: Up to 46.2 cubic feet of cargo space (with rear seats folded down) and 97.2 cubic feet of passenger volume. Whether seeking a fuel-sipping drive from Paramus to Ramsey or plenty of passenger space for trips into Pompton Plains, there’s a Honda Civic with your name on it. Contact us today to find out more about Civic MPG ratings and Civic cargo space.